Pinterest is now attracting and converting more customers than Facebook. While Facebook users stay on logged into Facebook longer and engage more with their friends, they purchase quicker from compelling product images on Pinterest. Recent reports show that 10% of website transactions come through Pinterest compared to 7% coming through Facebook. Additionally interesting is that 87% of those customers coming from Pinterest were first time users, while only 57% of Facebook customers were first time users. While Pinterest has a 43% higher bounce rate than Facebook does, the sales on average, per transaction are more than doubled on Pinterest compared to Facebook. What all this means is that if you are searching for social commerce success for your products or services, using Pinterest for marketing products is going to be more successful, while engaging with customers and potential new customers will be more successful on Facebook. This includes having high quality, compelling images for products on Pinterest, especially if you have a product based business. If your business is service based, you can still take opportunities to sell eBooks at Pinterest, or use Pinterest as a lead generator by using relevant images to your service. For example, if you sell business coaching, infographics or other interesting images can work to help promote on Pinterest that have an entertainment value. You want to avoid direct advertising. Pinterest gives you the opportunity to create separate Boards for separate topics in your profile. 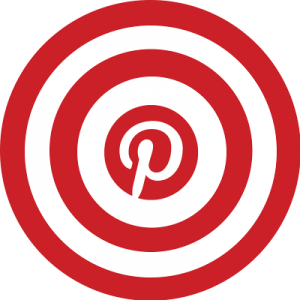 Using those boards to have a variety of topics that are not just about your products, but will appeal to your target market will help with your overall efforts at becoming popular on Pinterest. For example, if you sell cameras, boards with great photography including outdoor photography, wedding photography and children’s photography will be interesting to photographers. You can also include boards that are relevant to local places in order to appeal to customers close in your region. For Facebook, you want to continue to keep customers and potential new customers engaged with questions, compelling content and information they would like to share, like or comment on. While images are popular on Facebook, they do not get nearly the amount of attention as if they are coupled with words. Announcing promotions and offering discounts is best done on Facebook as well because if you offer promotions and discounts on Pinterest, it comes across as being too salesy. When you focus the right effort in the right direction, you can capitalize on making sales on Pinterest and on Facebook. One effort they both have in common is to keep followers engaged, posting often, but not too often is the balance you want to set. You want to be seen as active on both social media sites, without being so active that your followers start to ignore you, or unfollow you. Who is your social media marketing aimed at? Social Marketing or Marketing on Social Media?